Michael Ochs Archives/Getty ImagesThe upcoming official Aretha Franklin biopic starring Jennifer Hudson as the Queen of Soul now has a title and a director. The film will be called Respect, and will be directed by Liesl (pr: LEE-suhl) Tommy, who in 2016 became the first black woman ever to receive a Tony Award nomination for Best Direction of a Play, for Eclipsed. The screenplay for Respect will be penned by screenwriter and producer Callie Khouri, whose credits include Thelma & Louise and the TV series Nashville. 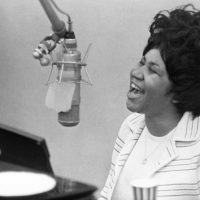 The biopic will follow Aretha’s rise to superstardom, from her childhood singing gospel in her father’s church through her emergence as one of the most powerful and influential voices in soul and R&B. The movie also will look at Franklin’s impact on and involvement in the civil rights and women’s movements. “The story of Aretha Franklin’s journey from child prodigy in Detroit to international supernova is rife with struggle and triumph, making her life one of the great American stories of all time,” says Tommy in a statement.